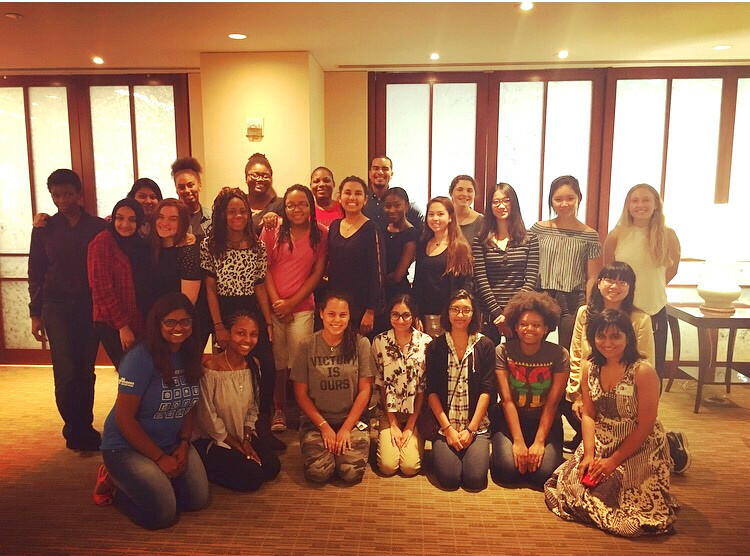 AWS has been working with Girls Who Code, helping support their Summer Immersion Program, a 7-week summer camp where 10-11th grade girls learn coding skills and get introduced to cloud technology. 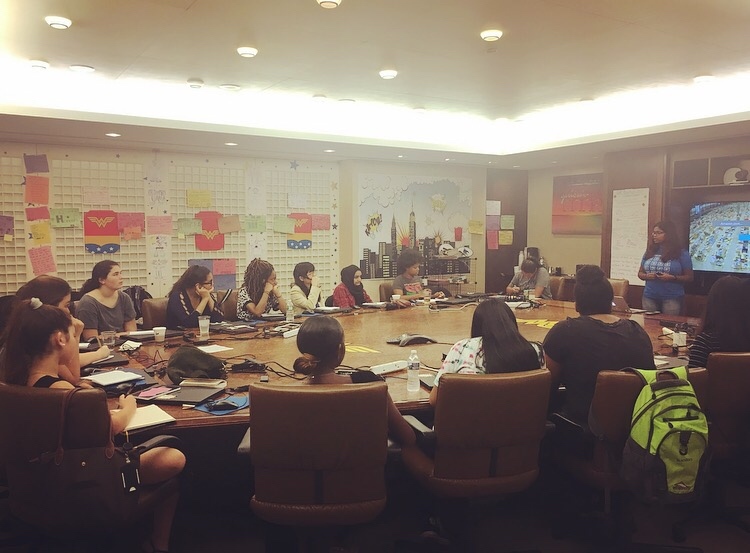 Over the summer, AWS worked with this growing population of future engineers by hosting an introduction to AWS course and workshop at four Girls Who Code summer camps in San Ramon, Washington D.C, and two New York City locations. The students were energetic and curious to learn about cloud computing, building applications in the cloud, and how AWS can help them power their summer projects. As part of the program, each student was given an AWS Educate Starter Account, which they can use to begin experimenting with AWS. Their project was to build a static webpage and an application called Moviepedia. The students followed a series of steps to build their webpage hosted on Amazon Simple Storage Service (Amazon S3). Once they uploaded content and created the webpage, they integrated a chatbot into their webpage which automatically retrieves information about any movie. This bot has been written in NodeJS and utilizes TMDb for querying movies and returning desired results. 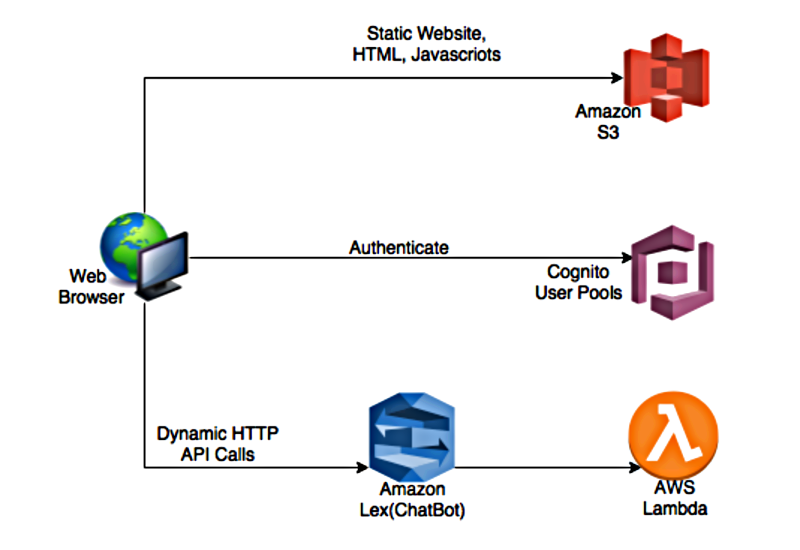 The application architecture uses Amazon Lex, AWS Lambda, Amazon S3, and Amazon Cognito. Best of luck to the participants in their journeys to become engineers. And thank you Girls Who Code for giving us this opportunity! Learn more about the future of inclusive tech at #WePowerTech.